L. Hannah Stoddard, edited by James F. Stoddard III and L. Sarah Stoddard In our day the phrase “Patriarchal Order” provokes deep emotions, generally negative, to many members of the Church. To a growing number the Patriarchal Order is either something of the past that we have now finally moved beyond through further light and knowledge, or to others a skeleton in the closet—a disturbing mistake. Perhaps a large majority of members today feel that this doctrine should never have been taught or practiced. Should we still believe in and practice the Patriarchal Order? 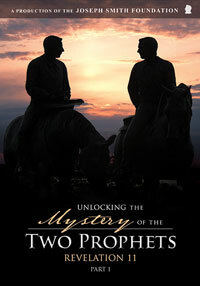 This article will attempt to first teach the straightforward and clear doctrine as it has been taught by inspired prophets throughout the entire history of the earth, and secondly to alleviate concerns in the hearts and minds of questioning Latter-day Saints. The Patriarchal Order is easily contrasted with modern counterfeits. These women were not illiterate uncouth renegades. These members hailed from Radcliffe, Columbia, Smith and other esteemed American universities. They were clever, sophisticated, and most importantly, influential. One of the women present at this meeting later wrote, “Their desire—and I witnessed it at subsequent meetings till I got pretty sick of their unbridled hate—was to tear American society apart along with the family and the ‘Patriarchal Slave-Master,’ the American husband.”2 Years later, Americans have yet to realize how influential they were because we have not understood, or perhaps better, admitted their goal. However, 20th and 21st century feminists were far from being the first champions of destroying the Patriarchal Order. Note the deception. Patriarchal authority has nothing to do with the drudgery of housework. Patriarchal authority has nothing to do with creating dependence upon men. The Gospel of Jesus Christ brings to a person new capability, increased capacity. The Gospel enlightens and exalts while increasing stewardship and personal ability in both men and women. For instance, in my home my Mother does very little household cleaning and cooking; and if it were up to my Father she would do nothing a child could learn to do for him or herself. We believe a mother should be more of a manager and less of a house maid. This is in harmony with the principle of heaven that nothing should be done for someone that they can do for themselves. The adversary’s great strategy is converting solutions into the problem. Issues did and still do exist in homes across the world today. However the Patriarchal Order is the answer, NOT the cause of the problems. For socialists and/or feminists, the home is the arch-enemy and must be destroyed. In the gospel of Jesus Christ, the home is meant to be modeled after, a type of, our Heavenly home. In the Gospel the home should be the most sacred place on earth. 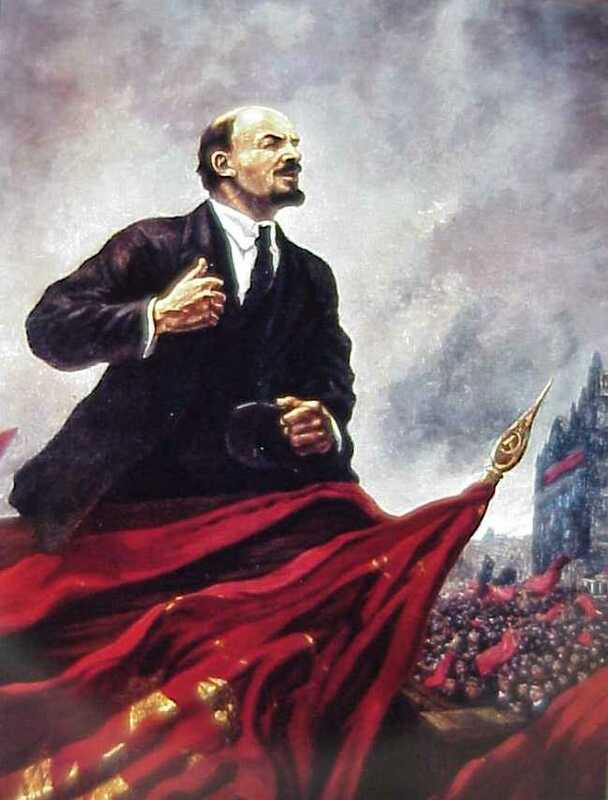 Lenin reveals his hate for the home in these words: “The status of women up to now has been compared to that of a slave; women have been tied to the home, and only socialism can save them from this.”13 The savior of women and the replacement for the home in socialism is the state and a new intellectual elite. Feminism, whose roots grew out of socialism, inherited this mindset. 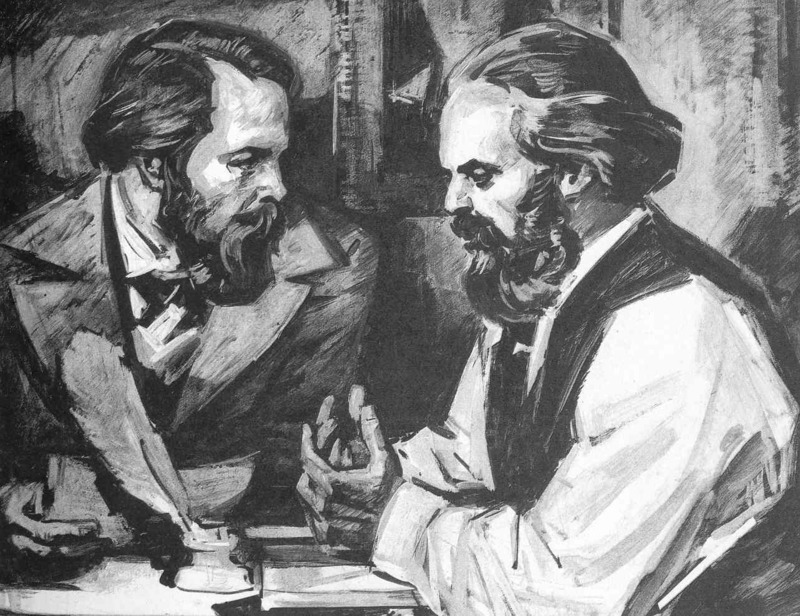 Lenin, Marx and other socialists bequeathed their vision to women, who then advocated and defended this anti-Christian worldview. 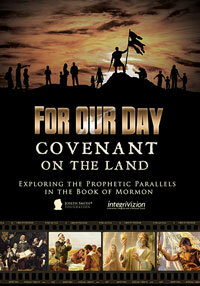 Though the cover was equal rights, behind closed doors the real mission was clear: exterminate God. Incredibly, the feminist movement, with near universal success, reached their goals by the turn of the century. What were the Feminist Goals? 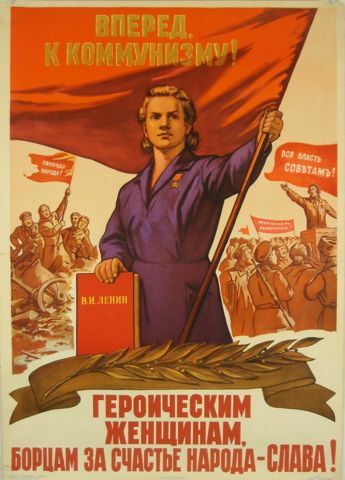 The famous feminist Betty Friedan used “women’s liberation [as] just a subtext of her real desire to create a Soviet America.”17 Leon Trotsky wrote, “The women’s liberation movement is a central part of the American socialist revolution in the making.”18 Even the well-beloved modern “heroine” Susan B. Anthony craftily said, “Give us suffrage, and we’ll give you socialism.”19 Gloria Steinem raved, “Overthrowing capitalism is too small for us. We must overthrow the whole _ _ _ _ patriarchy.”20 Feminist leader Andrea Dworkin wrote, “Only when manhood is dead—and it will perish when ravaged femininity no longer sustains it—only then will we know what it is to be free.”21 Even the Marxists Internet Archive explains, “From the 18th century up to the present, women fighting against their oppression by patriarchal structures have developed political science, ethics and critical philosophy and contributed to the development of revolutionary theory. Many were Marxists.”22 Why have anti-Christian advocates sworn undying vengeance against the Patriarchal Order and the Heavenly Patriarchal Father? Why do they see the destruction of fathers as a necessary step, and even equivalent to destroying God? What do they understand that we have forgotten? What is the Patriarchal Order? The greatest patriarchal father is God the Eternal Father. The Quorum of the Twelve noted in the pamphlet Father, Consider Your Ways (published as “A Message from The Church of Jesus Christ of Latter-day Saints”): “It is significant that of all the titles of respect and honor and admiration that are given to Deity, He has asked us to address Him as Father.”29 Of all the titles whereby we could be called, He calls us His “children.” What can we learn from the greatest Patriarch and His choicest Son in regard to proper relations between fathers and children? How should we answer one of the shrillest cries of the feminist, socialist and modern child rights advocate when they scoff at the principle of submission? “A child submit to his father?” they cry. “What evil, what perversion!” they loudly proclaim throughout the land. Submission is the very heart of the Gospel. During Christ’s ministry on earth, He constantly reiterated that His actions were entirely based on commands from His father.30 The Messiah was in a state of complete submission. 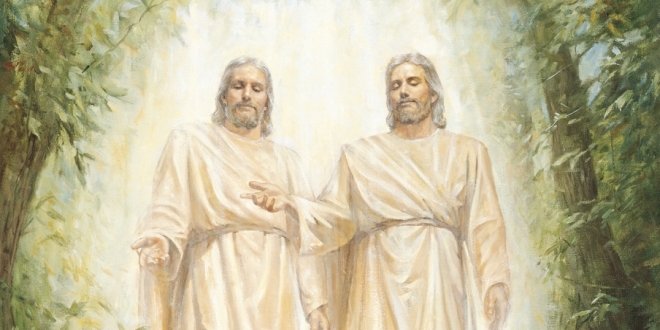 To see the Son was to see the Father, to hear the Son was to hear the Father.31 Christ taught that all those who followed His example and did “the will of my Father which is in heaven, the same is my brother, and sister, and mother.”32 His glory or his mission was not His own, but his Father’s. Christ came to the earth with nothing more than a commission from His Father, and left having done nothing less than fulfilling that command. 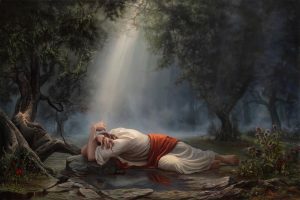 The ultimate test of this submission came in the garden when Christ was faced with enduring perfectly the most intense suffering ever experienced by a mortal. Christ had received the fullness. He had overcome the world and gained exaltation, but still His sole mission was to fulfill the Father’s mission; and we have no evidence or reason to believe that this has ever changed. His covenants were and are the Father’s covenants. 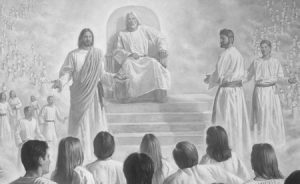 His actions were and are in obedience to commands from the Father. If anyone ever had the “right” to move on from their father’s authority, it would be the Son. If Christ, a man who never sinned nor transgressed, lives this life of submission, what should be the focus of our lives? How much more should we, being unholy, be in submission to our Father in Heaven. And to the degree that our earthly fathers live lives of submission and speak the words of God, we should likewise submit to our righteous earthly fathers. We often speak of Christ enduring the suffering of Gethsemane and the torture and suffering of the cross because of His love for us. However, from scripture we understand that this motivation was at most only secondary. Christ took the sins of the world upon Himself in perfect submission because of His Father’s will and command. For the natural man is an enemy to God, and has been from the fall of Adam, and will be, forever and ever . . .
Mankind is clearly alienated from God. How does reconciliation occur?
. . . unless he yields to the enticings of the Holy Spirit, and putteth off the natural man and becometh a saint through the atonement of Christ the Lord, and becometh as a child, submissive, meek, humble, patient, full of love, willing to submit to all things which the Lord seeth fit to inflict upon him . . . Allow me to rephrase the last sentence. The divine message given through King Benjamin is that to become reconciled to God we must obey our Father in Heaven as “a teenager submits to his earthly father” or as a “mature son or daughter submits to his father” or as a “child submits to his father”. Does this understanding change the way we approach our family relationships? Is your association with your earthly father of this nature? Whether you realize it or not, the honor you pay your father is a reflection of your nearness to God. Now allow me to surmise what you may be thinking. God is perfect. Our earthly fathers are fallible mortals. Can we follow imperfect leaders? Well, the answer to this isn’t a simple yes or no. None of our leaders in the Church are perfect. Bishops, Stake Presidents, even members of the Twelve and First Presidency are not perfect. When any leader including fathers, bishops, stake presidents, members of the Seventy, members of the Twelve, members of the First Presidency and so forth give counsel we must discern whether that counsel is coming from the Lord. On any vital issue we must learn to discern between truth and error. One may wonder, “Does it really matter if we follow blindly as opposed to knowing for ourselves?” This is not a small matter. 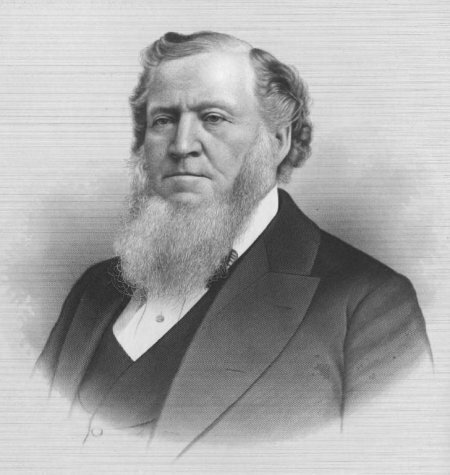 President Brigham Young feared the blind confidence of the saints and worried that they would fall into complacency. 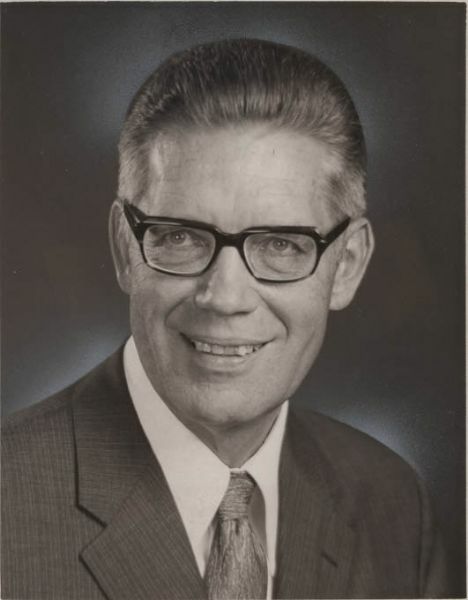 He was concerned that they would accept “with a reckless confidence” what was said by General Authorities or other leaders rather than searching out the truth for themselves by study and also by faith. Where are we today? Do we place blind obedience in Church leaders while ignoring and belittling the authority of the father in the home? In either case “blind obedience” and “reckless confidence” are dangerous and neither is true submission in a scriptural sense. The general connotations of “submission” in contemporary society include fear and disgust to a significant degree. Therefore, it is necessary to explore the definition and related duties that the doctrine of submission requires. The Lord has taught in multiple instances that His house is a “house of order” (Doctrine and Covenants 109:8). Without a correct understanding of submission and authority, can we ever understand the order of His household? First, the word is scriptural. Used in all four standard works, submission clearly plays a significant role in a fulfilling life. 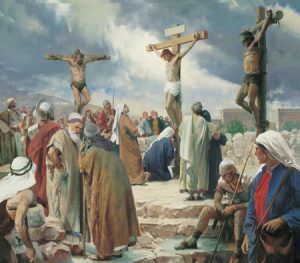 Consider the example of the Savior. 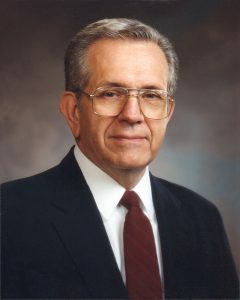 He truly submitted to His father, not only through obedience, but by contributing to, supporting and building the vision and mission of His Father. This building of the mission of His Father never ended. In addition to yielding His heart, He gave his might, mind and strength. If we desire to follow Christ, we must learn how to live in the same way. Consider the famous passage in Matthew, “Let your light so shine before this people, that they may see your good works and glorify your Father who is in heaven.” (Matthew 5:16) Once again we see that our light and good works are done to glorify the Father. Beacons of hope are brought to the world by furthering the Father’s mission, not our own. By submitting to His vision, not our own. To the degree that earthly fathers are inspired of the Lord it becomes our duty to support and build the family vision and family mission. This applies spiritually and temporally. Note the counsel from President Lorenzo Snow on what is considered by many a controversial subject. This is the vision of submission by true sons and daughters to true fathers. No righteous individual will resist submitting to God the Eternal Father or an earthly father who is devoted to the Kingdom of God. Every father interested in Celestial life must become worthy and lead such a life that his children will desire to follow him not only in this life, but everlastingly. To whatever degree we live this pattern, to that degree we live Celestial laws. 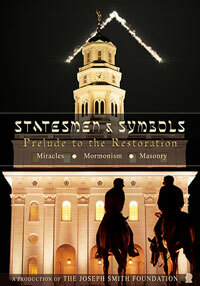 George Q. Cannon imagined the results that would flow from families built on this Celestial pattern. 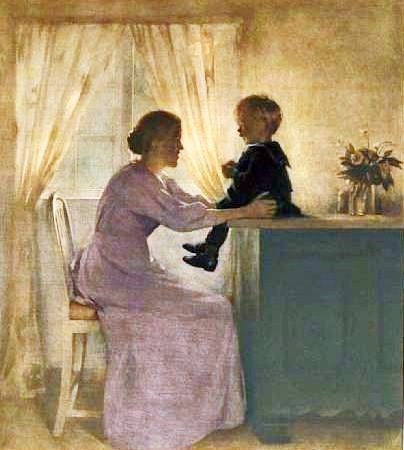 How can mothers train their children to fear the Lord if they do not understand the proper roles of wives and children? How can women be “missionaries in their own families” if they are in rebellion against true family principles? The women of the Church must raise up fathers of nobility prepared to call down the word of God and inspire their families. The women of the Church must raise up fathers who are worthy of honor, who can begin to live this higher law, or we will never be a Celestial people. 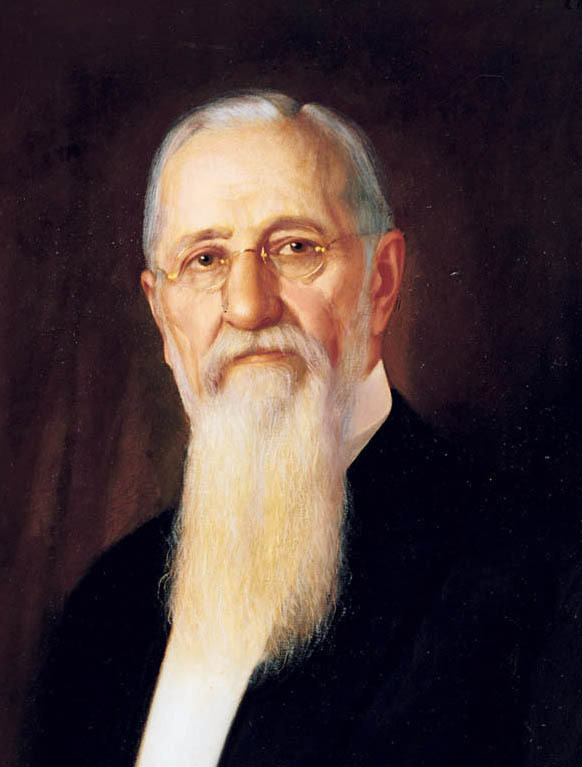 The statements of President Lorenzo Snow and Elder George Q. Cannon raise other questions regarding unmarried adult women. Do single daughters “graduate” from the family order when they reach the age of 18? What is the role of fathers and mothers during the dating/courtship season? 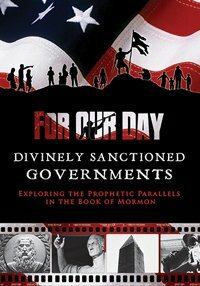 How can a daughter follow President Snow’s counsel to “devote [herself] the most faithfully to promote the designs of the father”, “carry out the mind of the father” and hold “everything that [she] obtained subject to the control of the father”? As we will see in the Part II, the prophets of God have given instruction to answer these questions. The concepts of patriarchal authority, submissive children and consecrated fathers are sadly foreign to our modern world. Regrettably, millions of God’s children on the earth (nearly all of them) have lived without any knowledge of the joy true family life brings. However, though these principles have been belittled or forgotten today, they are far from new. The Patriarchal Order has been the essential backbone of the Gospel throughout all eternity. Millett, Mallory. “MILLETT: Marxist Feminism’s Ruined Lives.” Truth Revolt. N.p., 04 Sept. 2014. Web. 24 Dec. 2014. .
First Presidency. “Message on Communism.” Improvement Era July 1936: n. pag. Print. VI Lenin, Speech at the First All-Russia Congress of Working Women, November 19, 1918; Lenin’s Collected Works, Progress Publishers, Moscow, Volume 28, 1974, pages 180-182. 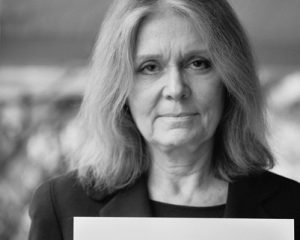 Gloria Steinem, quoted in the Saturday Review of Education, March 1973. Zinn, Howard The Twentieth Century: A People’s History. New York: Harper & Row, Publishers, 1980. p. 46; Zinn, Howard A Young People’s History of the United States. Published, 1995. p. 335. “Marxists Internet Archive Library, Complete Index of Writers.” Marxists Internet Archive Library, Complete Index of Writers. N.p., n.d. Web. 01 Jan. 2015. 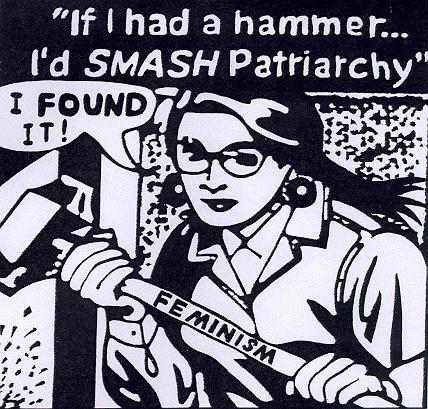 <http://www.marxists.org/archive/#feminism>. McConkie, Bruce R. Mormon Doctrine. Salt Lake City, UT: Bookcraft, 1966. 197. Print. McConkie, Bruce R. Mormon Doctrine. Salt Lake City, UT: Bookcraft, 1966. 397. Print. Smith, Joseph Fielding. Gospel Doctrine. N.p. : Deseret Book, 1939. 288. Print. First Presidency. “The Family: A Proclamation to the World.” The Family: A Proclamation to the World. LDS Church, n.d. Web. 04 Jan. 2015. Benson, Ezra Taft. 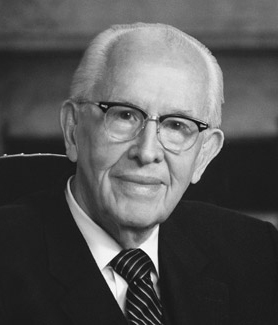 The Teachings of Ezra Taft Benson. Salt Lake City, UT: Bookcraft, 1988. 541. Print. Quorum of the Twelve Apostles. “Father, Consider Your Ways.” Ensign June 2002: n. pag. Web. 6 Jan. 2015. Brigham Young, “Eternal Punishment,” Journal of Discourses, reported by G.D. Watt 12 January 1862, Vol. 9 (London: Latter-Day Saints Book Depot, 1862), 150. Webster, Noah. “Submit.” American Dictionary of the English Language. 1828 ed. N.d. Print. Examples include Richard Wurmbrand (imprisoned and tortured in Communist prisons for 14 years, author Tortured for Christ); Nora Lam (author China Cry, persecuted in Communist China); Brother Yun (imprisoned and finally exiled as a Chinese Christian house church leader, author The Heavenly Man); Andrew van der Bijl or Brother Andrew (author God’s Smuggler, Christian missionary who has smuggled Bibles and Christian literature into Communist countries since the 1950s); John H. Noble (survivor of the Soviet Gulag – forced labor camps during Stalin era, author I Found God in Soviet Russia) and many others. “Hupotasso.” BibleStudyTools.com. N.p., n.d. Web. 05 Jan. 2015. George Q. Cannon, “Truth to Be Received for Its Own Sake, Etc.”, Journal of Discourses, vol. 11, pp. 330-339, March 3, 1867. I was invited to learn about this through a facebook friend, and a casual reading through the website made me worry that this would lead to us becoming more insular. After reading through Hannah’s blog post, however, I worry that you are far too concerned about things we have moved from. ETB was chastised by the President for his Red Scare tactics, and he discontinued the fear mongering once he took the mantle. Many members, I fear, are still stuck in this time period, where a lot of the us vs. them still resides. We can learn to live with and love our neighbors, without all this vitriol. As a seeker of truth I completely agree with this article. 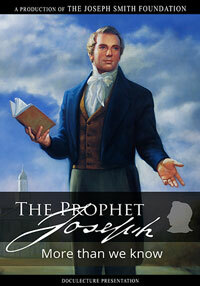 One reason for my support is the account in the Book of Mormon concerning the prophet Lehi and his sons. Lehi was a righteous man, but the majority of the people of Jerusalem at the time thought otherwise. They hated him to the point that they plotted to slay him. If you were one of Lehi’s sons, to be in favor your father’s visions would certainly be “unpopular” at the time. Nephi is a great example for us because he genuinely wanted to know for himself if his father’s prophecies and visions were true, so he prayed unto the Lord to receive an answer (1 Ne 2:16). Nephi learned for himself that the prophecies were true and this shows us that he did not follow blindly. Nephi teaches us to be submissive to our father especially when our father simply wants us to return to our God. Laman and Lemuel on the other hand were constantly against their father’s just commands. They didn’t ask God to gain a knowledge for themselves because they loved the life Jerusalem offered more than God. Laman and Lemuel’s choices are a warning to us when we are disobedient to our good father. I disagree with Lenin and Marx concerning their philosophy on this subject. There are many reasons and one of them is a disturbing quote from Lenin. It is used in this article to which he states “The children are brought up under more favorable conditions than at home.” Another words he’s saying I want your children to think and act the why I want them to. I believe that the mother and father have a right to their own children. Now what happens if a righteous father and mother raise their children in the ways of our God? We can take yet another account from the Book of Mormon to find the answer. 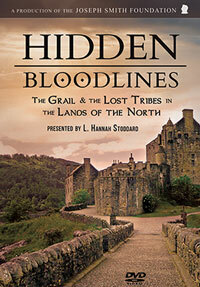 During a great war, two thousand stripling warriors gave much assistance to the fatigued Nephite armies. They also inspired the Nephites because of their obedience to God and because God did not let one of them die. Who taught them in the ways of their Lord and Savior? Their valiant mothers of course. And one may ask were where their fathers? If we read Alma chapter 24 we discover what happened. Their father’s buried their weapons of war because they knew that they had greatly sinned. They wanted to truly show God their broken heart and contrite spirit. And that cost them their very lives. The action the fathers took, forever emblazoned the minds of their wives and children. And because they showed their love to God in giving their lives, their wives were further able to teach their children in the ways of God. This resulted in their children becoming spiritual monuments to the Nephites. And because of their incredible sacrifice, Heavenly Father’s gift to the fathers was that none of their sons or wives would be killed by the armies that sought their extinction. In conclusion this article has referenced so many simple truths by our own leaders, why would we not agree and uphold the righteous father of the family. To the Stoddard family I thank you for courageously writing this commentary even if it wasn’t “popular” in the eyes of the world. This is an excellent article that was published in the Ensign about the patriarchal order! I would definitely recommend reading it! 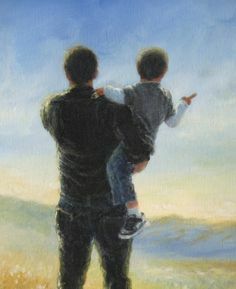 You have masterfully illustrated that when we have honorable and heroic fathers we are to be obedient to them as our Savior was submissive to His Father. Jesus willingly follows the leadership, always speaks the words, performs the deeds, and carries out the will of Heavenly Father. So much so that if we want to know the character of God we can look to His Only Begotten as our Exemplar. Should not we as sons strive to be as loyal to our righteous fathers? That we too may reflect our Eternal Father for future families, for if a child cannot see a little of God represented in their father it will be that much harder to see a father in God. We have to be men intentionally, lethargy leads to futility. A man cannot be passive about his Patriarchal responsibility and expect to be found faithful to God. To lead as men we have to put down the controller and take responsibility for our families, as faithful fathers, husbands and sons. We need to be men who will step up to the plate and pursue the excellence of character God wants to develop in each of us. We’ve all made mistakes, deal with and forsake them, we need to grow a hatred for mediocrity and resolve to spit any half-hearted attempts out as if they were lukewarm water.